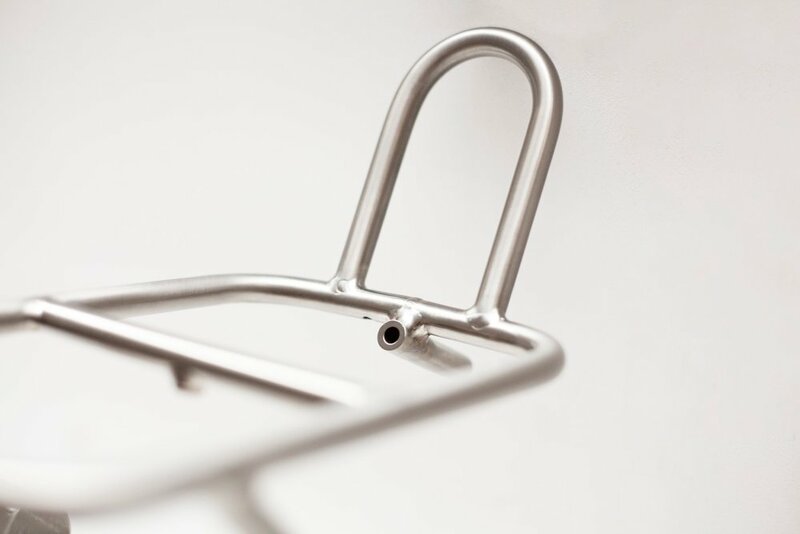 This past winter we had the pleasure of building a suite of bespoke titanium components for a cafe racer project the folks at Pleasant Hill Cyclery in the Bay Area were working on. 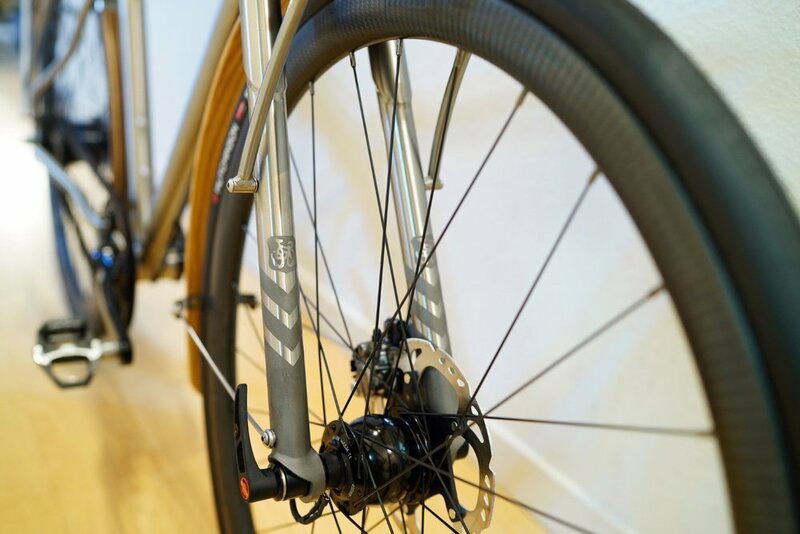 The overview is straightforward -- a titanium fork, front and rear racks, and pant guard for the Gates Carbon Drive -- but there were plenty of details to sort through. 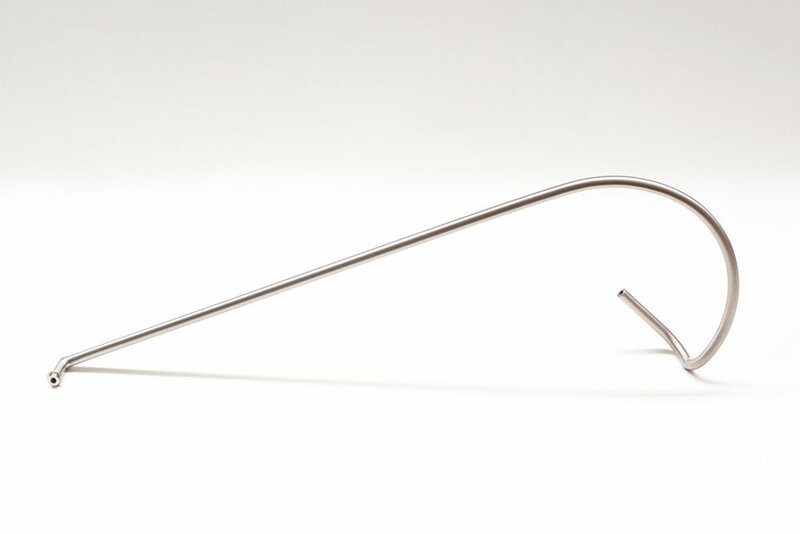 Starting from scratch we had four individual pieces to fabricate, some of which interface with each other directly, and all of which needed to bolt up to an existing frame built by another shop. 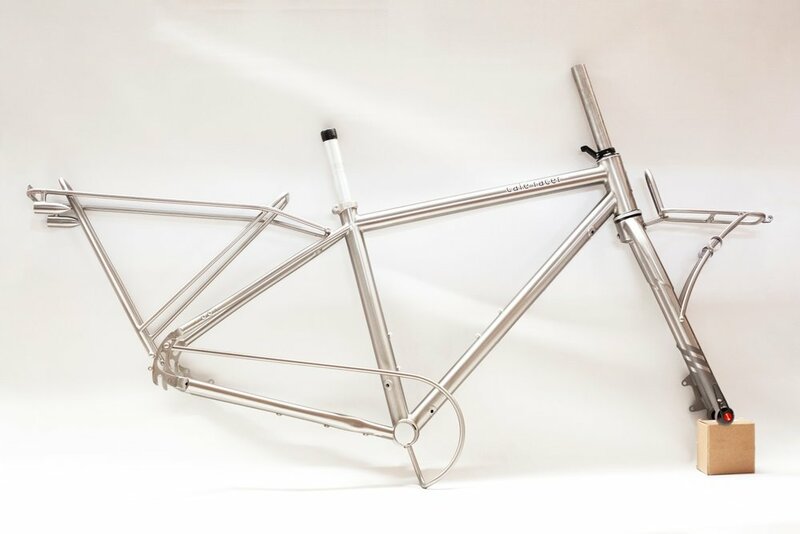 Seven Cycles does good work, so we had a solid foundation to build from, and Loc at Pleasant Hill Cyclery was organized, specific, and generally great to work with. 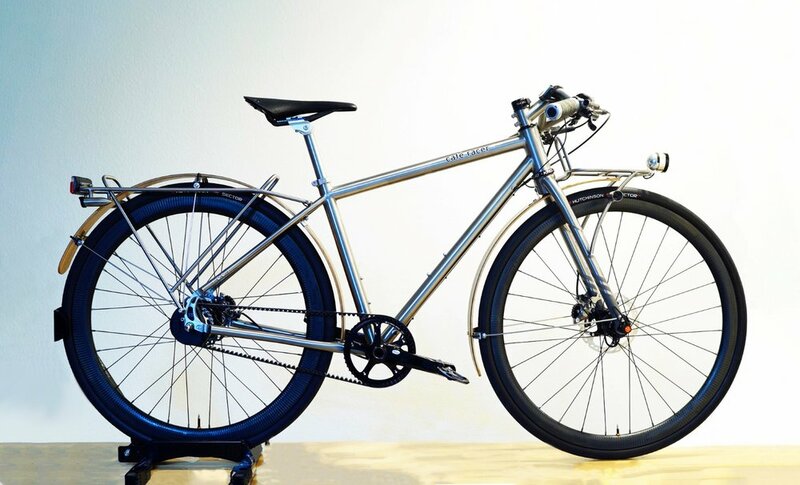 The custom titanium fork is a fantastic piece of hardware. 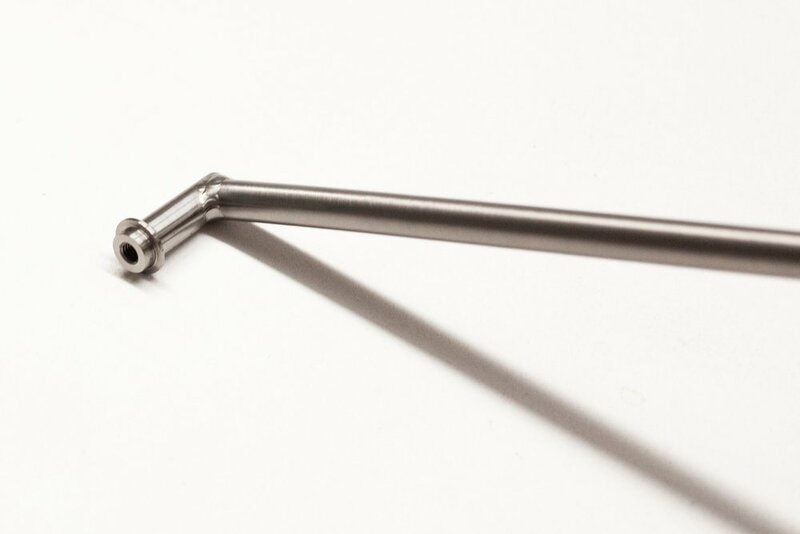 Our 1.5" Tapered, sleeved unicrown design with a solid 15TA dropout and a smart and smooth 58mm of offset. 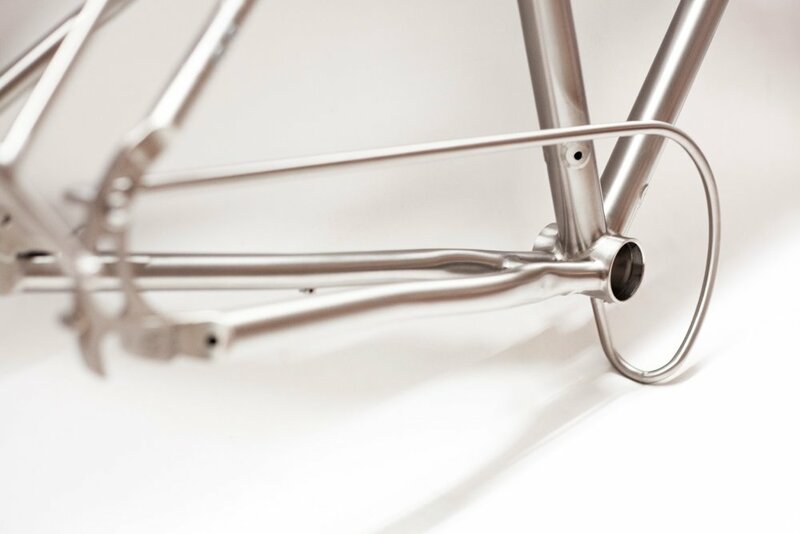 Disc only with the hose running through the leg and mounts for fenders and our front rack. 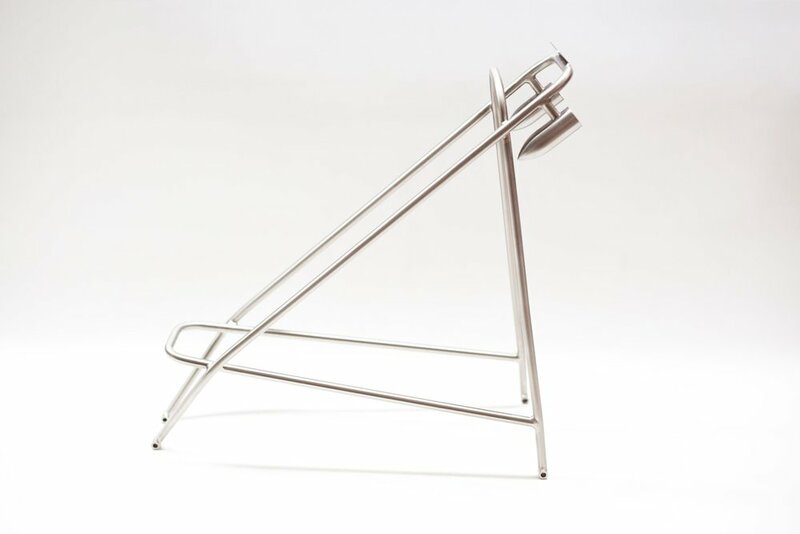 The front rack is a sleek, minimal, slightly swoopy mini platform with an internally wired dynamo light mount out front and a standard tombstone bag loop in the back. 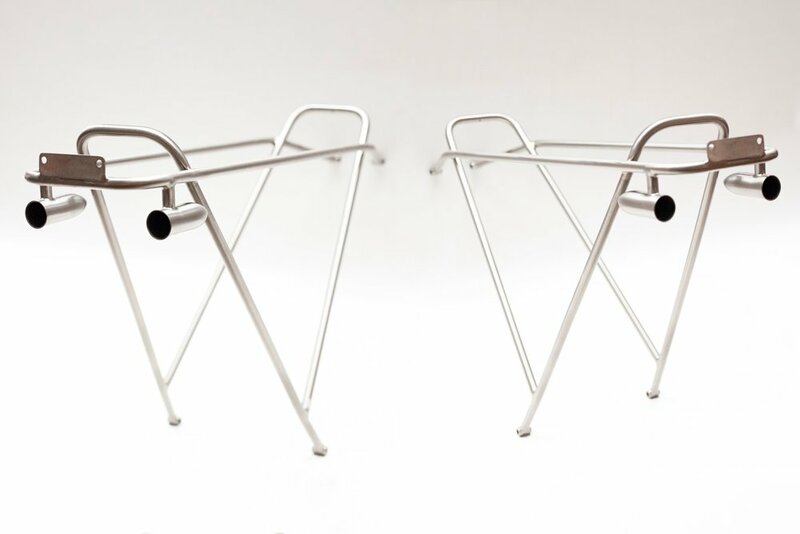 The legs were specified with a unique and deceptively complicated design element that needed to be square, symmetrical, and pretty but also weight bearing. They turned out great. 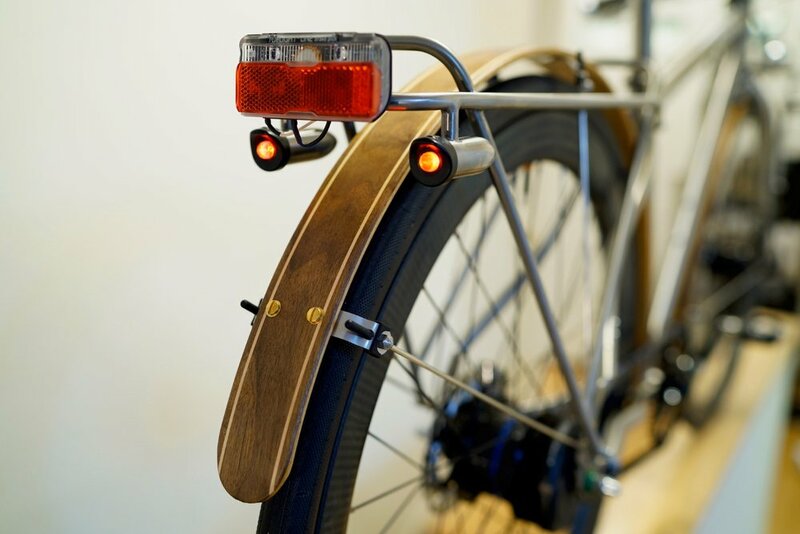 The rear rack would also have internal wire routing and a dynamo light mount at the rear. 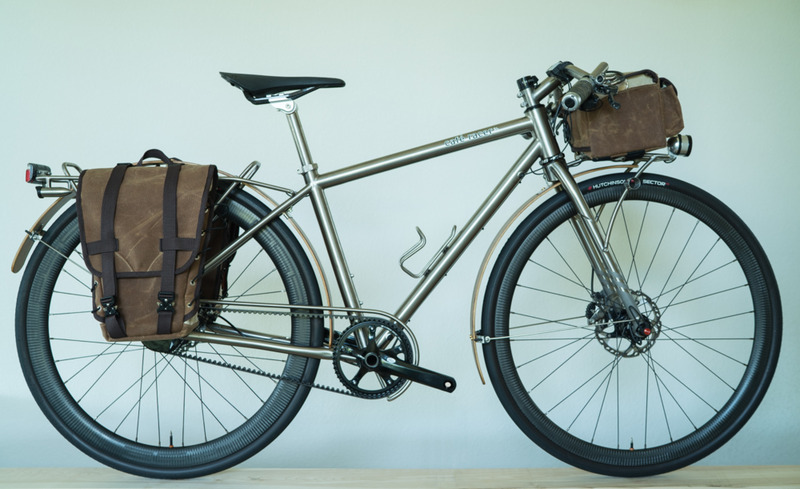 Opposite of the front rack, the rear would have no cargo platform but instead carry saddle bags. 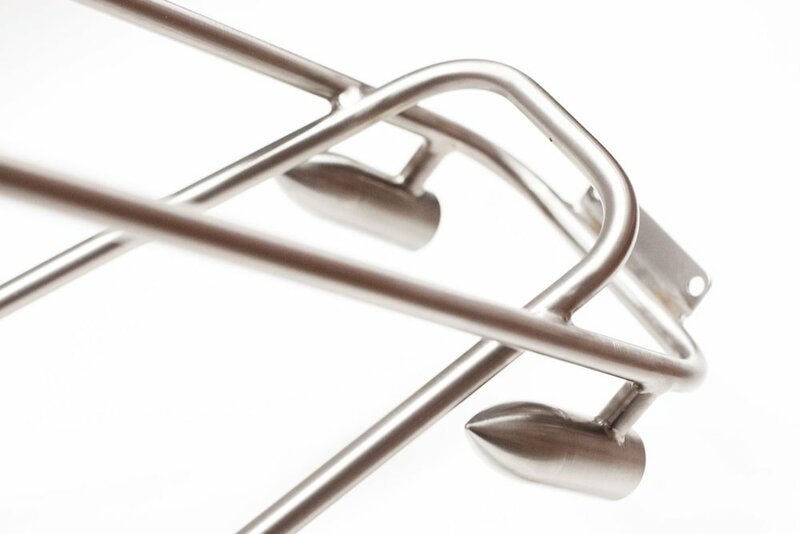 Effectively a series of intersecting loops, the rack construction makes for a sleek profile. 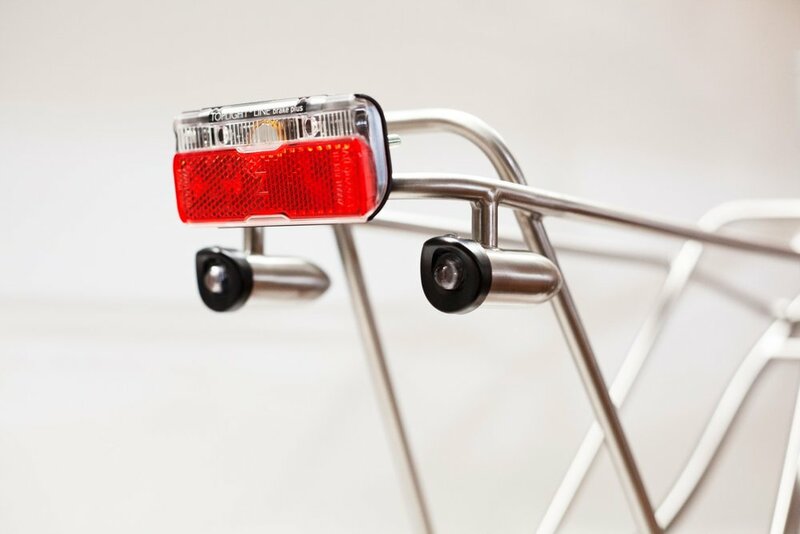 An additional feature of the rear rack is a set of light housings for LED running lights. 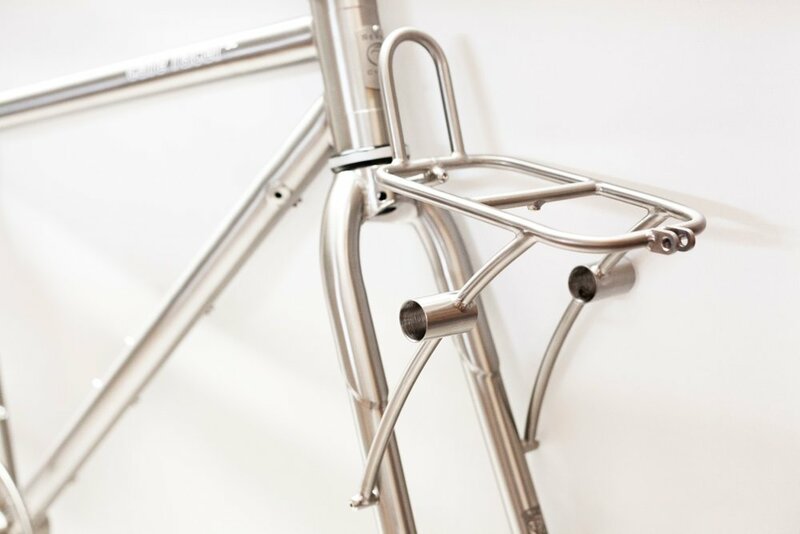 We used bullets for oversize chainstays as the end caps for the housings, adding just the tiniest bit of complimentary flare to the rack package's art deco sensibilities. 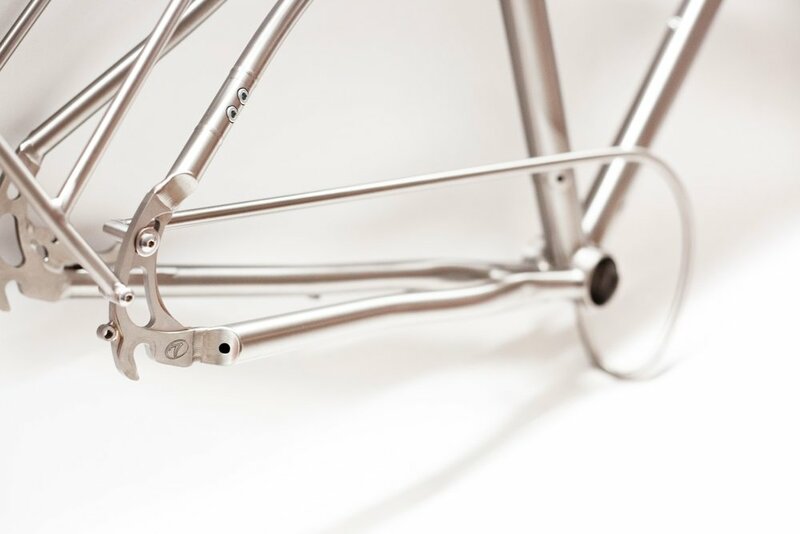 To tie everything together a titanium pant guard for the belt drive was made to mount discretely to the bottom bracket shell and snugly into the Seven rear dropout, with no additional mounting points required. 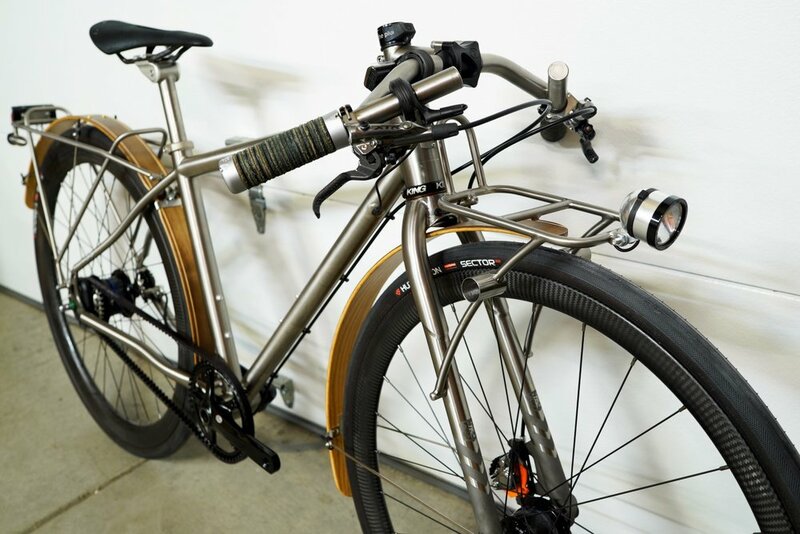 A gallery of the component package we built is below, and you can check out the final build out with RuthWorks SF bags and a happy rider here.